As a whiskey maker and a barrel maker, we see the barrel not simply as a container but as an ingredient. 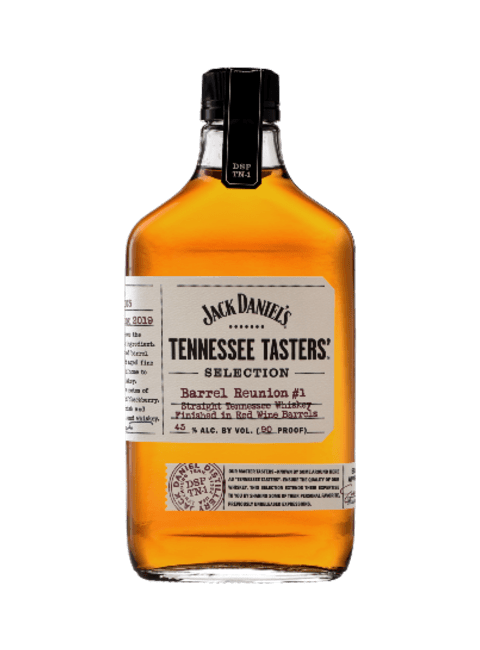 This unique whiskey began with a hand-crafted barrel that matured Jack Daniel’s. Once emptied, it aged fine Tennessee red wine. Then, finally it returned home to finish a small batch of our Tennessee Whiskey and delivers a 90-proof whiskey. What emerges from this second barreling are notes of caramel and oak with whispers of cherry and blackberry. We think you will be intrigued by this new finish and celebrate with us the reunion of our barrel and whiskey. Selected by Master Distiller and Master Taster Jeff Arnett.